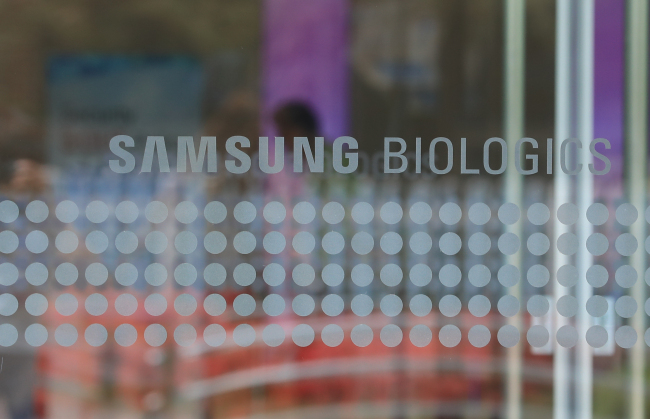 Samsung BioLogics said Tuesday that it will transfer its shares in its subsidiary Samsung Bioepis to US-based Biogen on Wednesday, concluding the two sides’ call option process that had been pending since its formal execution in June. Under the share swap deal, Samsung BioLogics will provide 9,226,568 shares it holds in Bioepis to Biogen. Biogen will pay Samsung BioLogics around 759.5 billion won ($677 million) for the transaction including purchase fees and interest. As a result, Samsung BioLogics will remove 2.25 trillion won worth of assets held for sale and 1.93 trillion won worth of derivative liabilities from its accounting records, and add the 441.3 billion won gains from the share swap to its non-operating income in its fourth-quarter earnings. With Biogen’s call option payment, Samsung BioLogics’ cash asset reserve will increase from 477.9 billion won as of end-June 2018 to approximately 1.24 trillion won. The firm’s debt ratio will also be reduced from 94.6 percent to 42.6 percent. Samsung Bioepis was founded in 2012 as an 85:15 joint venture between Samsung BioLogics and Biogen, with Biogen possessing the right to a call option to raise its stake in the JV to 50 percent minus one share, effective until June 2018. On June 29, 2018, Biogen exercised its call option to raise its stake in Bioepis to 49.9 percent, putting its long-noted intent to increase its ownership in the biosimilars development company into formal action. As a result, Samsung Bioepis will operate under a six-person board consisting of an equal number of directors from both Samsung BioLogics and Biogen. Under the terms of the original JV agreement, a 52 percent majority stake is required to secure final decision-making power over Bioepis. “The biosimilar business was able to succeed thanks to the partnership with Biogen. And with the conclusion of the share transfer, we are now formally entering into a joint management system,” Samsung BioLogics CEO Kim Tae-han said in a statement. “Samsung BioLogics will work closely with Biogen to create a successful case of a JV run with a global biotech company,” Kim said. The conclusion of the call option comes as Korea’s financial regulator continues to investigate allegations that Samsung BioLogics committed accounting fraud by deliberately changing its accounting practices in 2015. The Securities and Futures Commission, the auditing arm of the Financial Services Commission, will hold another meeting on Nov. 14 to continue looking into the firm’s accounting practices. The main issue at hand is a change in the accounting methods Samsung BioLogics used to evaluate its stake in Samsung Bioepis, which saw a sudden net profit turnaround in 2015. In July, the financial regulator ruled that the firm had breached accounting standards and deliberately failed to make certain disclosures despite being aware of potential violations. However, it postponed making a conclusion on key issues related to Samsung Bioepis. In response, Samsung BioLogics filed a suit against the SFC on Oct. 8 to counter its punitive measures, which included the resignation of the firm’s executives.